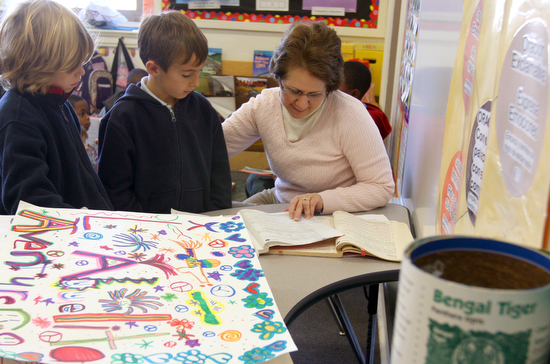 The International School of Louisiana’a Camp Street campus. Students from the International School of Louisiana perform acrobatics during a circus arts showcase (Della Hasselle, Mid-City Messenger). 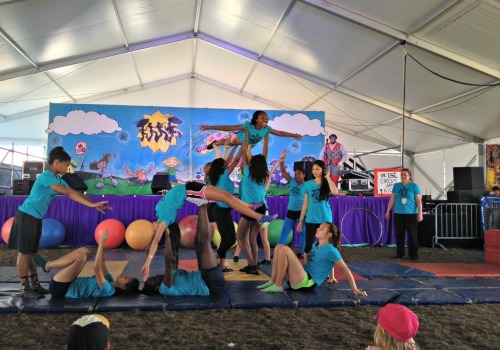 Students from the International School of Louisiana Circus Arts program and Andrew Wilson Charter School were among the local schools that were part of the lineup at the New Orleans Jazz and Heritage Festival on Thursday, reports Della Hasselle of our sister site, Mid-City Messenger. 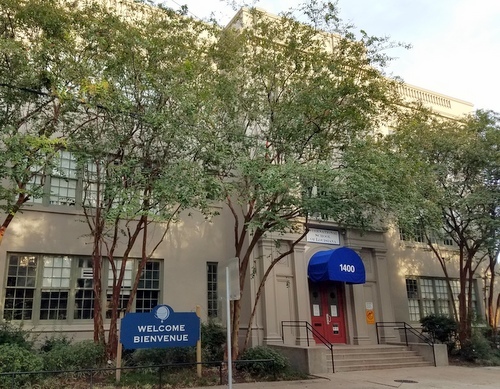 In a conversation that will be very familiar to parents, the International School of Louisiana is again exploring a wide range of options to ease the overcrowding at its Camp Street campus — from reducing the number of students it accepts each year to leaving the site altogether. 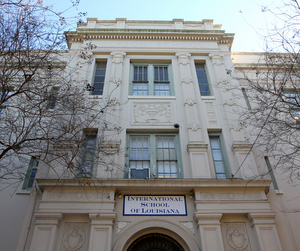 A renovation project designed to seal the International School of Louisiana building on Camp Street from water intrusion and remove lead paint from its windows has yet to begin months behind schedule, and school officials are unsure whether the current plans preserve the historic nature of the building or when they will even begin. 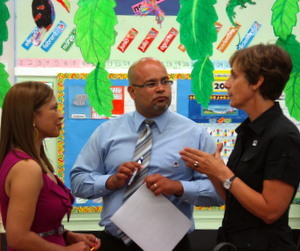 After an initial budget proposal that showed a $700,000 shortfall, the International School of Louisiana held a public hearing on a balanced $16 million budget that increases fundraising expectations but reduces spending on counseling services and recalculates employee benefits, according to a report by Emmanuel Felton of The Lens. 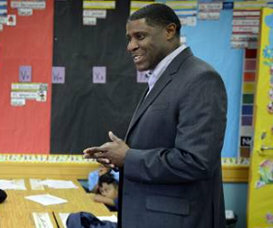 The number of International School of Louisiana students at the Camp Street campus who passed state standardized tests showed another slight increase this year, officials said, and praised the scores recorded at the Jefferson Parish expansion campus as a “familiar” baseline to start from. The batteries on the solar panels that power the school-zone lights have died on both sides of the International School of Louisiana, and parents and school officials are both concerned that a student could get hurt if they aren’t repaired, reports Bill Capo of our partners at WWL-TV.